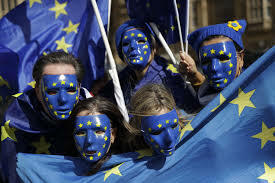 For disciples of the European Union project to replace the sovereign states of Europe with a single, centrally controlled superstate, these past few years have been a nightmare. If the economic collapse of the Eurozone and Angela Merkel’s disastrous immigration free-for-all weren’t bad enough, the British people voted to leave and take their 13 billion pounds per year membership fee with them. The 13 billion pounds is a bitter blow to the EU finances but it’s the likelihood of Great Britain prospering once they are free of the crushing regulatory regime that will eventually signal the end for the corrupt and failing Union. The British economy is the best it’s been for decades despite the daily tsunami of crushing regulations and diktats that emanate from Brussels. Domestic businesses and their workers, along with foreign investors, are salivating at the thought of an economy free from political and bureaucratic interference. To Euro fanatics at home and abroad the political project to create a single, multi-cultural, egalitarian superstate takes priority over the security and financial well-being of their citizens so the poverty, murder and mayhem visited upon them is considered a price worth paying. When Great Britain succeeds after taking back control of its laws, its borders and its money, justification for surrendering national sovereignty to a cabal of unelected, unaccountable bureaucrats in Brussels will be gone. With a prosperous, sovereign Great Britain just twenty-two miles across the English Channel other nations trapped in the bureaucratic nightmare will want to leave. This will signal the end of a project envisaged by tyrants down the ages including Napoleon, Hitler and Stalin. For the continued existence of the European Union and its nation building project, Great Britain must be prevented from leaving or, failing that, it must be prevented from succeeding at all costs and that includes re-igniting the civil war in Northern Ireland. The current Withdrawal Agreement was designed to keep Great Britain locked into the EU institutions and subject to the European Court of Justice while giving the impression of leaving. This will facilitate Great Britain rejoining by stealth in years to come. This phony agreement prevents Great Britain from prospering by removing the benefits of Brexit. It curtails the ability to sign independent trade deals and keeps the country aligned to the requirements of the single market and customs union. It also requires continued payment of billions of pounds of taxpayer money. It is the so-called Irish backstop that exposes the lengths these evil people will go to in order for Great Britain to fail. An open border between Northern Ireland and the Republic of Ireland is a condition of peace as detailed in the Good Friday Agreement. This is the agreement that facilitated the end of the bloody civil war in Northern Ireland, universally referred to as the Troubles. Despite British and Irish politicians agreeing that there will not be a hard border in the event of Great Britain leaving before a deal is agreed, the EU bureaucrats insist that Northern Ireland must either separate from the United Kingdom and remain subject to the EU regulations or a hard border must be put in place. They know this would re-ignite the civil war and have a negative affect on the economic and social stability of Great Britain as well as damaging the prospects for prosperity. To the Euro-fanatics, a bloody civil war in a part of the United Kingdom and the carnage that would result will be a price worth paying to stop Great Britain succeeding and keep their project alive a little while longer. To conclude: the success of Great Britain outside the European Union will remove the justification for its existence and will encourage other nations to leave. This domino effect will spell the end for the long-held dream of tyrants down the ages of building a European empire stretching from the Atlantic in the west to the Ural Mountains in the east. To prevent this the Euro-fanatics will do everything in their power to make sure Great Britain stays locked inside their clutches or fails entirely. UK "leaders" are owned by Davos and the Bilderbergs, and they understand what is expected of them. Soros will get his way, as always. Theresa 'the Appeaser' May, along with the establishment and most of Parliament, are doing the dirty work on behalf of the globalists. I hope in the near future there will be a day of reckoning and they will be made to answer for their treachery.